1. Marinate the salmon with the salt, pepper, Miso & Easy, honey, sake and ginger at least 1 hour or overnight in the refrigerator. It is easiest do this in a resealable bag. 2. 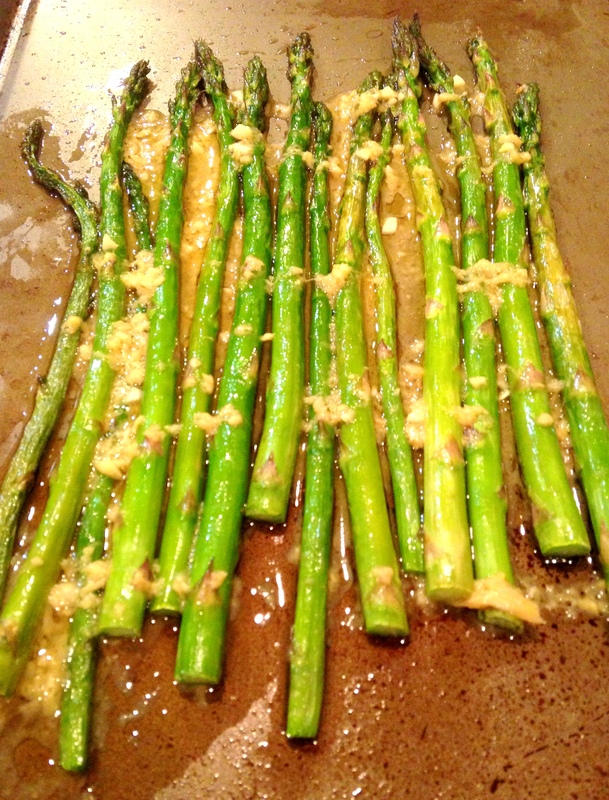 When ready to cook, Preheat oven to 375F. Thinly slice the orange (you can keep the peel on) and thinly slices the fennel bulb. 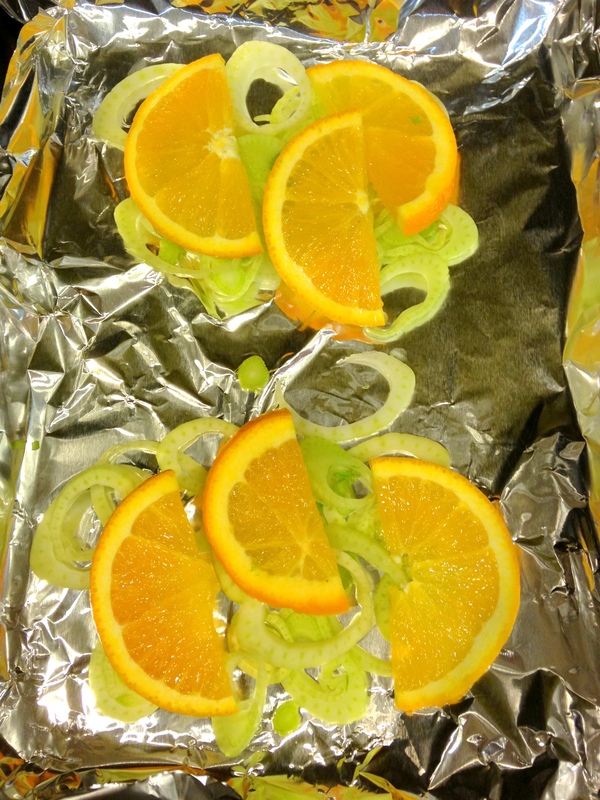 Layer the orange slices and fennel slices on a baking sheet. 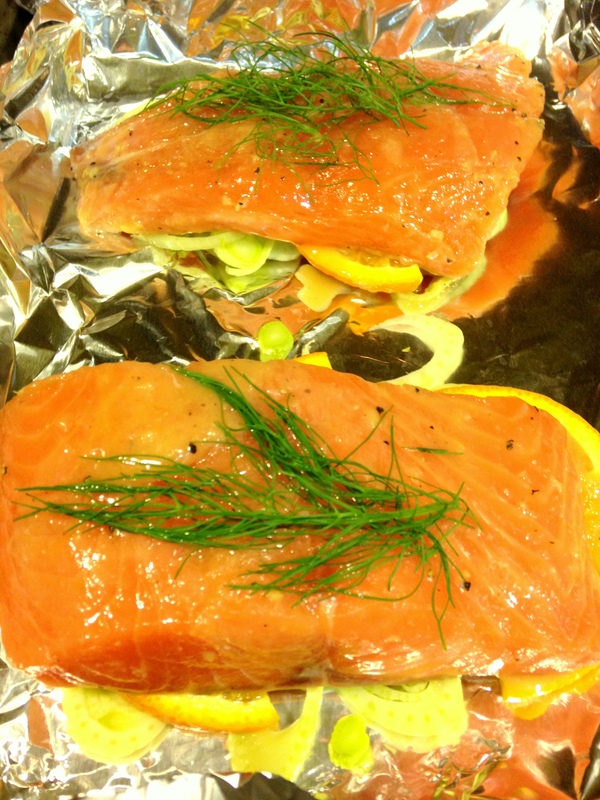 Place the marinated salmon on top (discard the leftover marinade.) 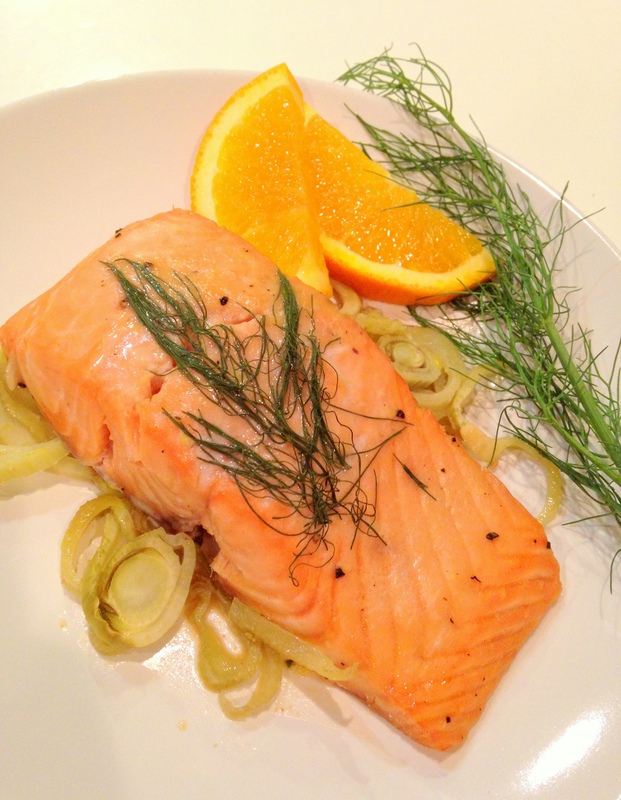 Cover the salmon with several sprigs of the fennel fronds. Bake for 15-18 minutes or until desired level of doneness.